The Irish boat ornament is ready to hang on your Christmas tree with the included green ribbon. The Irish sailboat ornament features a white porcelain design that is enhanced with shamrocks on the sail along with on the vessel. 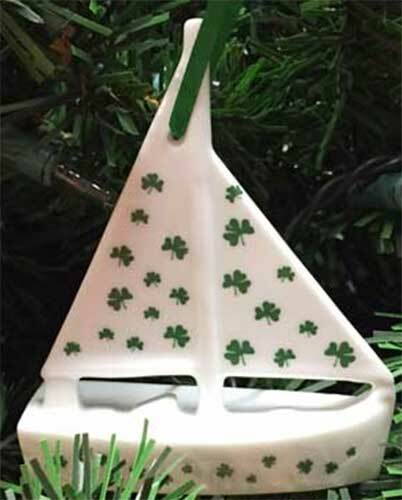 The shamrock boat ornament is a dimensional design that measures 3" wide x 3 3/4" tall x 7/8" deep.